This article originally appeared on DemosHealth.com. It is adapted from The Myeloma Survival Guide. As a newly diagnosed cancer patient, you are beginning a long, complicated, physically and mentally taxing journey. Here are twelve things to start doing now to make your journey a little easier. 1. Recognize that you are a changed person. You are not the same person you were before the cancer diagnosis. You cannot ever be that pre-cancer person again. Insist that others recognize the new you as well. No pretends. No if-onlys. Don’t whisper cancer’s name or give it some cutesy-pie nickname. You’ve got what you’ve got. Now’s the time to do something about it. 2. Get a guru. The leader of your treatment team must be a medical doctor (MD or DO), whose specialty is cancer (oncology), who is an expert in blood diseases (hematology), and who has treated other patients with the type of cancer you have. A referral within the medical community is the most likely way you are going to get into the right hands. If you live in or near a city, there’s a good chance that the diagnosing doctor can do this for you. If that doesn’t work, pick a cancer treatment center specializing in the type of cancer you have and let the institution assign you the expert you need from its staff. 3. Go with the flow. Visits and tests will lead to more visits and tests. Your guru, or the hospital you chose, will cause other professional specialties to come to your aid. The treatment team for a cancer patient will build to half a dozen doctors plus technicians and nurses in no time. Don’t get in the way of this process. Let it happen. Watch and learn how to work with each specialty. 4. Separate the sheep from the goats. As your team building is taking place, friends, family and others will be interested. Some of them will have medicinal suggestions they just know will help you. Stop and ponder this interesting phenomenon: Why would someone who has absolutely no experience dealing with this complicated, dangerous disease, prescribe for you? Be nice to these people. They want to help. Had they thought about it, they might have realized that they are endangering your well-being. But they never do stop to think. 5. Work on your elevator speech. Years ago, some salesman came up with the idea that the most effective explanation for anything should require no more time that it takes for you and the listener to rise one floor in an elevator. You need a simple, truthful explanation of what’s wrong with you. It should include the name of your cancer and something to explain it such as a cancer in my bones. Keep in mind that children may need something less brutally frank. 6. Get your health insurance coverage started. Provisions of the Affordable Care Act make it easy to get full coverage, but cancer-related expenses during the first six months that your new insurance is in effect may not be covered. Plan accordingly and get covered as soon as possible. 7. Have you gotten a qualified, independent second opinion of what’s wrong with you? 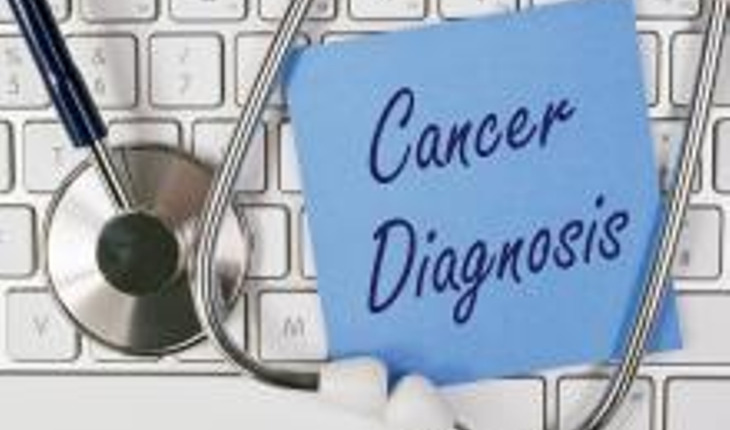 In all of the nation’s leading hospitals, a diagnosis of cancer is automatically reviewed by a panel of highly qualified physicians that meets regularly. If the opinions of that panel of experts lead to any worry that your diagnosis could be incorrect, your case is re-examined. If you were not diagnosed in a major hospital, your finding may not have been reviewed by a second expert. You should check, and if the second opinion does not agree with the first, get a third. 8. Prayer. If prayer is already active part of your life, you can move on to To-Do List item number 9. But if you are inclined to skepticism of the God thing, give us another thirty seconds here. More than 1,200 scientific studies in the United States since 1975 have focused on the therapeutic effects of active worship, according to Dwight L. Carlson, MD, prominent psychiatrist and best-selling author. More than 800 of them documented a positive result. Science has certified that an active relationship with the God of your understanding is an effective cancer fighter. 9. Tell everyone who needs to know that you have cancer. Your objective is clear, basic information. The telling may be tough because everyone will know that cancer is life threatening. Kids may ask when you are going to die. Other questions, from the intimate to the outrageous, will come at you. They hurt less if you smile and give loving, positive answers. 10. When people ask what they can do for you, tell them. Let people help you. It’s a nice thing. However, there are those who ask if they can help out of courtesy, without expecting you to take them up on it. Thanks is all you need to say. There are also those whose help you don’t want. Thanks is sufficient for them, too. 11. Consider joining a support group. There are general cancer support groups and there are groups for specific types of cancer. The value you get from attending support group meetings comes from an amazing and inventive collective wisdom. Patients and caregivers share discoveries and benefits. It is a special sort of insight you may not find anywhere else. James Tamkin, MD, FACP, FACE, lived with myeloma for eleven years. He co-founded the TBA (Their Best Advice) Foundation with Dave Visel in 2009 to provide myeloma patients with the resources they need to cope with the disease. He worked as an internist and endocrinologist in Los Angeles until his death in March 2011. Dave Visel is co-founder of the TBA Foundation and author of Living with Cancer: A Practical Guide. He is a retired advertising copywriter and marketing executive, and is a caregiver to his wife, Karen, who has lymphoma. They live in Los Angeles.